Ferrari is considered as one of the most revered sports car makers across the world. Following the earthquake that struck Italy, relief has been pouring in from all sides and now there seems to be a new contributor which is planning a mass relief scheme for the victims. Ferrari is stepping in and will be hosting an online auction where there will be a range of Ferrari merchandises and cars that would be available for auction and all the money thereby collected from the online auction will straightaway go to the relief funds of earthquake victims. The auction will be taking place at Ferraristore.com and the primary merchandise that would be available for auction by Ferrari will be racing suits as well as helmets that have been word and used by Felipe Massa and Fernando Alonso. There are other items as well for auction including the V8 engine that is used in Scuderia Ferrari F1 racing car. 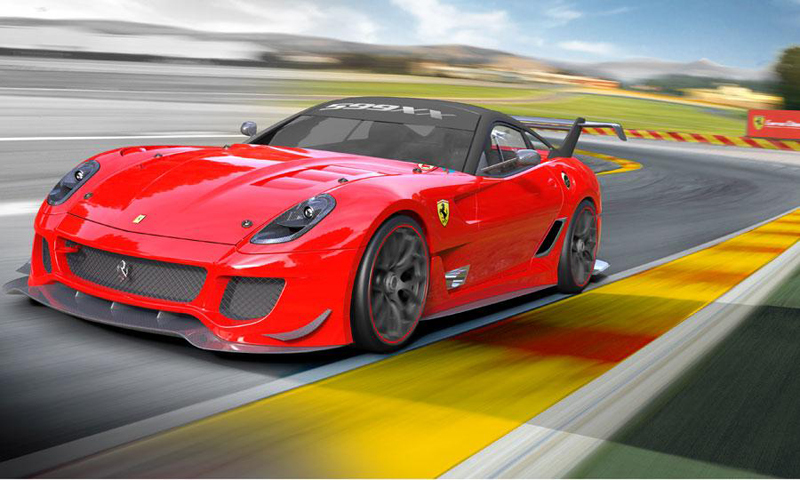 Apparently, Ferrari 599XX Evo track spec caris also said to be going under the hammer for the auction for a price of $1.6 million. Ferrari hopes to generate a lot of money from these auctions so that they turn out to be the highest contributors in the relief funds of earthquake victims. Now, the price of all these goods for the auction will be much more than what the original prices of the goods are. This is because the initiative taken by Ferrari is a noble one and thus all the prices of the goods sold will go up for a much higher price. The date of commencement of the auction on Ferraristore.com will probably be around the beginning of the next week. Apart from generating money for earthquake victims, some part of the money will also go to the families of those laborers who have worked for the company in the past. A report released by Ferrari recently said that following the earthquake, there were lots of calls to the Maranello headquarters of Ferrari with many clients as well as collectors of Ferrari expressing their wishes to contribute to the relief fund set up for the victims of the disaster.Following this, Ferrari decided to contribute and Mr. Luca Cordero di Montezemolo, the Chairman of Ferrari called for an online auction of several merchandises of Ferrari as well as a few cars of Ferrari. Seeing Ferrari, other auto-makers like Maserati and Lamborghini also stopped their necessary operations from 20th May for a few days as the earthquake that had hit the entire region took the lives of 23 people while leaving thousands homeless.Adding to this auction, Ferrari also sent its employees home to spend time with their respective families. Even in the past, Ferrari has generously participated in relief funds for various natural disasters. They rolled out a specialized F430 solely for the aid of Abruzzo people. Even during the course of last year when Japan coast was hit by Tsunami, Ferrari donated $1 million to the authorities so that they can develop two after-school facilities.